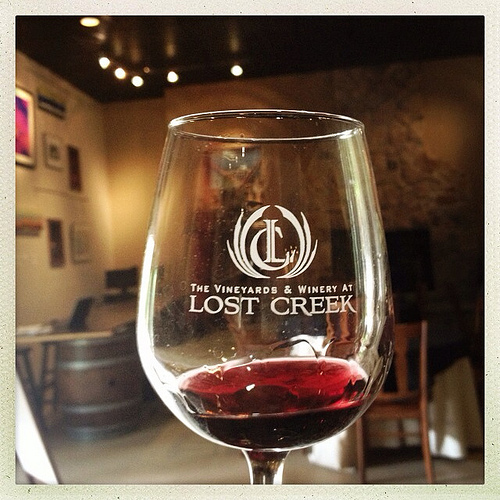 In September of 2012 Lost Creek Winery was purchased by new owners, Todd & Aimee; with the new ownership came a new name, The Vineyards & Winery at Lost Creek, and new wines. Stacy who writes Virginia Wine Know coordinated a visit for us earlier this summer. I hadn't been to Lost Creek in several years so I was interested to see what it was like under new ownership. Aimee gave us a wonderful tour of the property and walked us through the ongoing changes to their event spaces and cellar. Its clear that the new owners have a passion for wine and plan to create quality & continuously improving wines. One of the facts that fascinated me was that the previous owners had barreled all of their wines in steel, even the reds! So one of the first things that the new ownership did was start barreling the reds in neutral and new oak. Currently the winery has 52 acres, of those 16 are vineyards and in 2014 all of the reds at Lost Creek are expected to be estate grown. During our tasting we were able to try 5 of their new wines and 8 of the legacy wines. They are currently pouring and selling two new whites and two new reds. The new wines we tasted included the 2012 Vidal Blanc which was a crisp & spicy white that reminded me of a Viognier, that was followed by the 2012 Chardonnay, a young steel fermented but with hints of butter; we also had an early taste of the 2012 Serenity a softer slightly sweeter white. 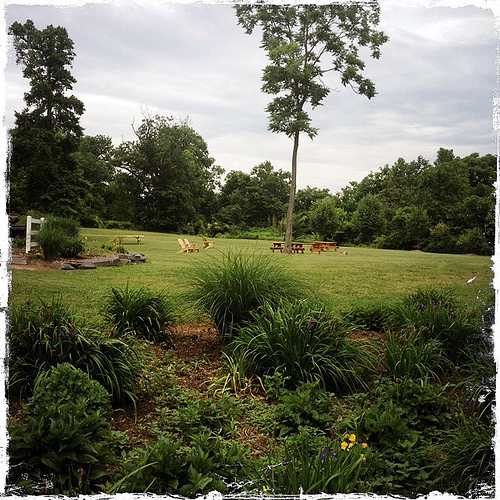 My favorite of the bunch was the Vidal Blanc, but the group also enjoyed the Serenity. On the red side the new wines we tried were the 2011 Cabernet Franc which was a smooth peppery red, with a hint of vanilla; the second red was the 2011 Genesis, Todd & Aimee's, first new wine hence the name, a blend of 47% Tannat, 43% Cab Franc and 10% Petit Verdot it has a very nice nose, smokey and smooth once you tasted it. While I enjoyed both reds the unique blend for the Genesis came out on top for me. The legacy wines we tasted were mostly sweeter wines, but of those that are still available I preferred the Chardonnay which had a touch of apricot on it. 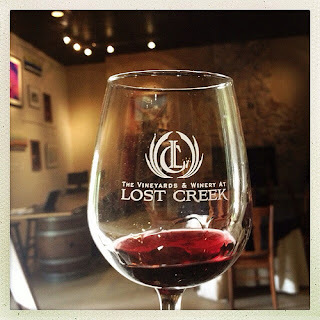 If you had been to Lost Creek in the past and their sweeter wines weren't for you, I'd recommend giving it a second try if in Loundoun County as you'll find the new wines quite different than the old and hopefully find something you enjoy.